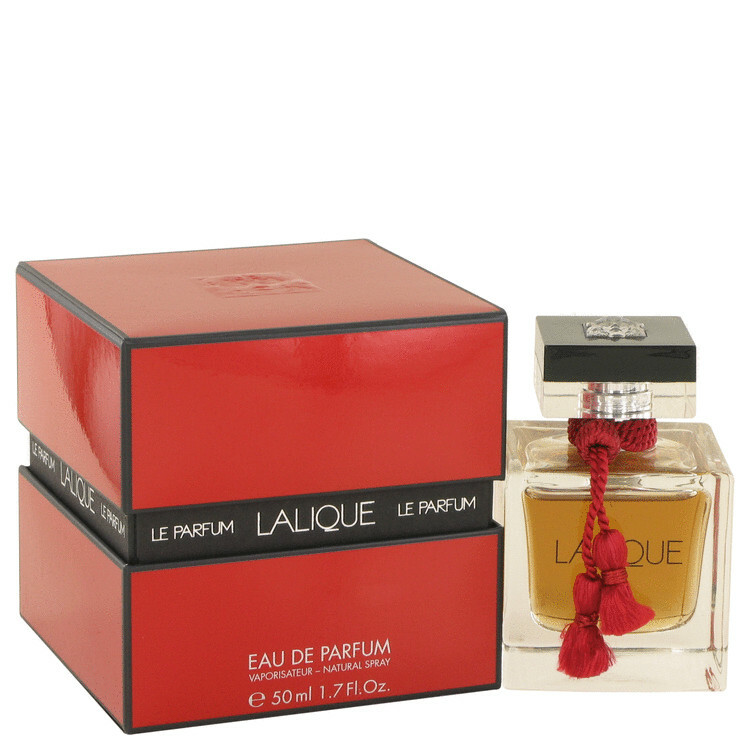 There are 11 reviews of Lalique Le Parfum. Oh my, I didn't know I like that medicinal Indian bay that much! It was the delight like finding something forgotten deep in the drawer. During the opening, bergamot is also easy to be detected. Then I smell a whiff of vanilla and tonka beans, then another whiff of aromatic spices, then another whiff of vanilla again, like they're battling. This stage makes me confusing. However after 1 hour, it calms down. I can easily smell powdery jasmin and helitrope. The patchouli is also there, but very subtle. The sandalwood becomes prominent after 5 hours but in the end it mellows into a vanilla base. The sillage is moderate and the longevity is at least 10 hours on me. This Le Parfum reminds me strongly of Angel from Thierry Muglar. Le Parfum is less darker. I can also link it to Vivienne Westwood Anglomania, i was pleasantly surprised to see they are from the same nose. It could be a very female family member of Chanel egoiste platinum. Love the perfumes of Lalique always high quality on all levels. And le Parfum is no exception. Wears long, has a decent sillage. Nice for winter shopping finding a sweet alluring mystic shop with nice velvet red curtains, that let an ice wind play with them occasionally. Inside you find a warm cosy welcoming lady that smiles and arranges fresh flowers. Or an autumn high tea in a tea garden at a clan castle overviewing a Loch. Richly surrounded by all the autumn colours there can be. "MPG does Shalimar, buy Shalimar" Well, he could have just chanted "Copy cat, dirty rat, we can't have the Hoi Polloi imitating the sister of Guerlain's 'Mitsouko' when I just declared it the most world's most beautiful perfume" Oh, whatever, it's just a bit of fun. I purchased my 100 ml bottle for around $40 USD, postage paid; I am well pleased with Le Parfum, it's really very nice without being groundbreaking. For those whose Mother, Mother in law, may have staked their claim to Shalimar, this is one you can call your own. Peppered Shalimar? What else? Le Parfum-I thought it had a touch of Euphoria to it but perhaps that's because I know Dominique Ropion was involved with E and composed Le Parfum. The bottle is easy on the eye, it can sit alongside my bottle of Ivoire as a sort of Flamenco version. My cheap thrill, my tasselly Flamenco peppered Shalimar, now all I need is a fine glass of Syrah. Interesting. Starts out with a minty-basil note, then the sweet and heavy vanilla-balsam notes kick in. I agree that there's a distinct nutty-biscotti note to this, too: so much so that it calls to mind Parfumerie Generale's Praline de Santal, which I find too dry and cloying. Fortunately for me the nutty note is tempered by the florals, which are subtle but just present enough to lift this out of gourmand territory. The bottle and packaging as a whole is very nicely done, too. Am pleased with this bosomy oriental. Some people hope to live long enough to witness the abolition of capital punishment and a moratorium finally placed on the highly objectionable practice of summary execution of suspects by Predator drone. Others hope fervently for the discontinuation of Lalique LE PARFUM. Well no one claim that "The Guide" has decreased global sales of perfume, at least if I'm any indication of its marketing effects. I purchased a 100ml bottle of Lalique LE PARFUM, scent unsniffed, on the strength solely of the invective heaped upon it in "The Guide." What, I thought to myself, could possibly inspire such an outpouring of vitriol? Honestly, I was very excited to find out how and why someone could actually detest a perfume as much as I detest Predator drones. I have to say that, having now worn LE PARFUM a few times, I find myself disappointed and a tad bit confused. This perfume is so utterly inoffensive and eminently wearable in social gatherings: a light floriental with a touch of strangely minty pepper. This is not all that sweet, not very loud, not very anything at all. Now I am seriously wondering whether the anger directed at this composition might be displaced leftover emotions from AMARIGE, also created by Dominique Ropion. I understand how someone who dislikes the overall composition of AMARIGE might develop a downright aversion to that perfume: it's true, the stuff is so strong that it rivals only the nuclear garlic imported from China which I procure from my local purveyor of produce. That (pre-peeled) garlic is so frighteningly potent that its "parfum" actually penetrates not only the plastic container in which it is housed, but also three layers of extra plastic bags! Same story for AMARIGE. I myself happen to like AMARIGE, so it's actually good news to me (and countless others) that a tiny bottle—even a mini!—can suffice for one's entire perfumed life. But I at least can understand how someone who does not like AMARIGE to begin with might have developed a decidedly violent aversion to that über-powerful perfume. Opens rather unspectacularly with a green / bergamot accord. There is nothing wrong with this introduction except that it seems a little too much “been there…” As an admirer of many Lalique fragrances, I was disappointed by the genericness of the opening. The laurel green of the opening is okay… it borders on being synthetic. I do like the fact that the opening is not typically sweet. The floral middle – primarily a pleasant jasmine assisted by a clear heliotrope – is also not exciting but it is more than pleasant enough to be satisfactory: it’s fetching, refined, comfortable, and feminine, but then I’m a easy conquest when it comes to a good jasmine accord. The base is a winner: it’s a feminine sandalwood / vanilla accord that gently presents its unassuming and competent oriental character. Le Parfum does not have strong sillage, but it’s longevity is pretty good. 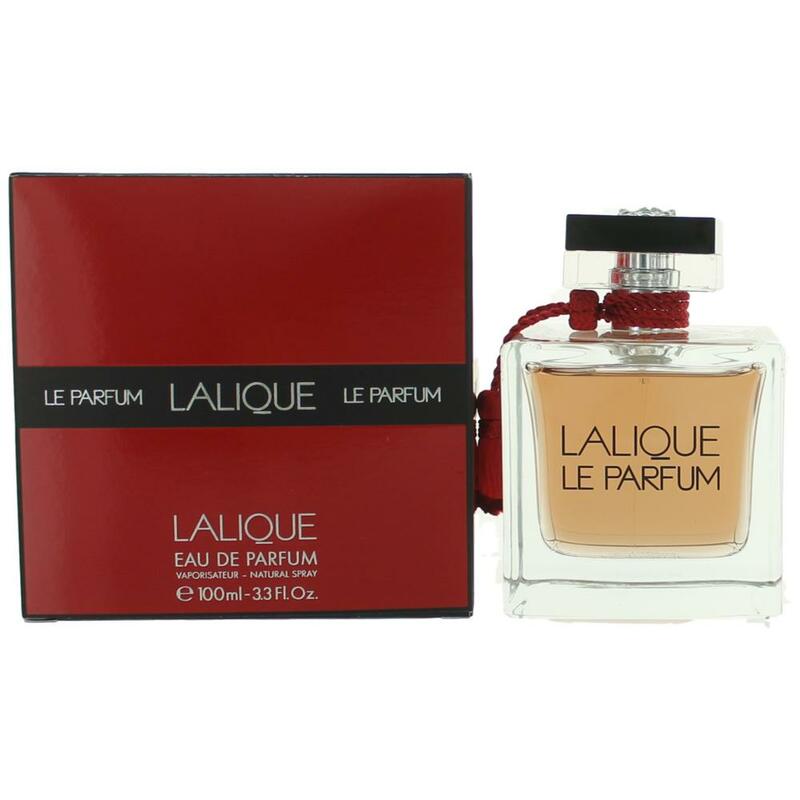 Lalique le Parfum presents a more traditional character than its 2005 introduction would indicate, but it is certainly not outdated. It is a little too flat at first, but then continues elegantly and prettily. It is not very unique or challenging, but it does what it does with a noticeable competence, a bit of sophistication, and a solid core of sensuality. Beautiful bottle and I guess that that is to be expected from Lalique. Pen's Artemisia and Lalique le parfum?